Long live the Deutsches Haus! I met up with Tom and his co-workers at the Bridge Lounge, one of my favorite local places. Tom had a mojito and I had a mint julep. After chatting with his colleagues (including some seriously disturbing talk about someone's acquaintance's Craigslist personal ads) we wandered over to the Avenue Pub, where we enjoyed the last German Franconian farmhouse lager on cask. I also had a Unibroue Chambly Noir and an experiment that Tom suggested to the owner, Polly- she's been on a kick where she washes a glass out with bourbon and then serves Russian Imperial Stout in it, so Tom suggested that she serve the Sierra Nevada Tumbler Brown Ale in a glass with a Cointreau wash. He was mostly joking, but Polly gave it a try. The verdict was that it wasn't bad, but it wasn't quite right. 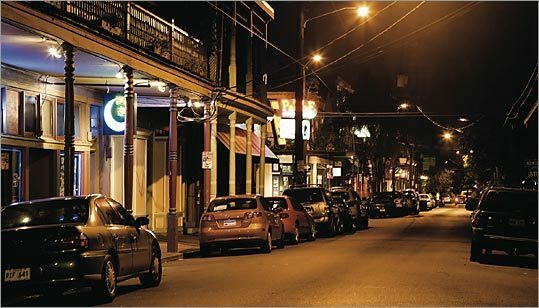 My out of town friend met us at the Avenue, and off we went to Frenchmen Street, which was already hopping at 8pm. We wandered down Frenchmen and Decatur, stopping at Three Muses to see if we could get a bite to eat- it was mobbed, though, so we ended up going to Thirteen (aka 13 Monaghan, it seems) for some sandwiches, beer, and tater tot nachos. Then, cocktails at Pravda on Decatur. They have an extensive absinthe selection but I stuck to a Sazerac. Yesterday was pretty much a lost day, due to recovering from the night before. I did make it out to get a burrito at Felipe's though. Also made some chicken noodle soup and watched a lot of Law & Order and Futurama. 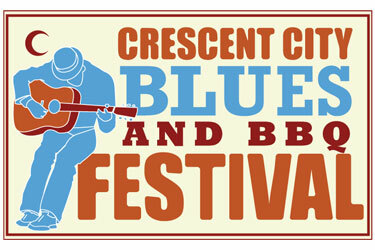 This morning, got up, got dressed, and got going to the Crescent City Blues and BBQ Festival. We parked at Tom's work garage and walked to Lafayette Square (there was plenty of parking closer, but we were in the mood for a little walk.) When we got there, Mem Shannon was playing, then we heard Shannon McNally & Hot Sauce, and then a little bit of The Joe Krown Trio featuring Walter “Wolfman” Washington and Russel Batiste. We ate pork and shrimp spring rolls from Ba Mien Vietnamese Restaurant, pork taco and lamb ribs from Lucy’s Retired Surfer Bar, jerk chicken plate (came with greens, rice & beans, and plantains) from Boswell’s Jamaican Grill, and pralines and sweet potato pie from Loretta’s Authentic Pralines. 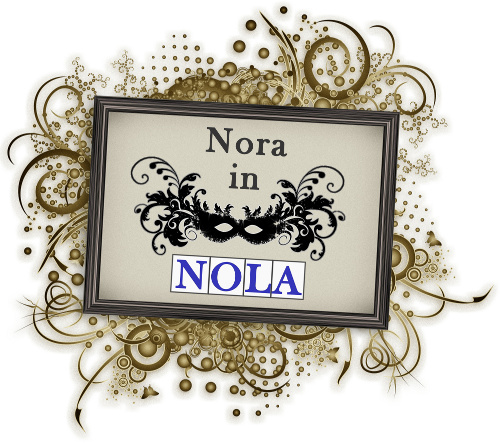 While enjoying a couple Abita Fall Fest beers, we wandered around checking out the various craft vendors- lots of art, jewelry, some beautiful handcrafted furniture, instruments, and gorgeous feather masks. Good food, good music, good weather, good company- is what New Orleans is all about. Also, Saints won!